Hooray, the New Scarlet Spider is Back! So I’ve noticed for awhile now that I’ve been slacking in my blogging. I post a List of Six on Wednesdays and comic book reviews on Saturdays, and then pretty much just Youtube videos every other day. That’s no way to blog! That’s no way to Internet! I haven’t gone on a good rant in awhile. Or written something just for the fun of it. Well that’s hopefully going to change. I need to take back this space and have some actual fun with it. And from now on, that’s going to include just some quick, fun posts about my pop culture thoughts. I don’t need to do full length movie reviews for everything I see; a quick review is good too. 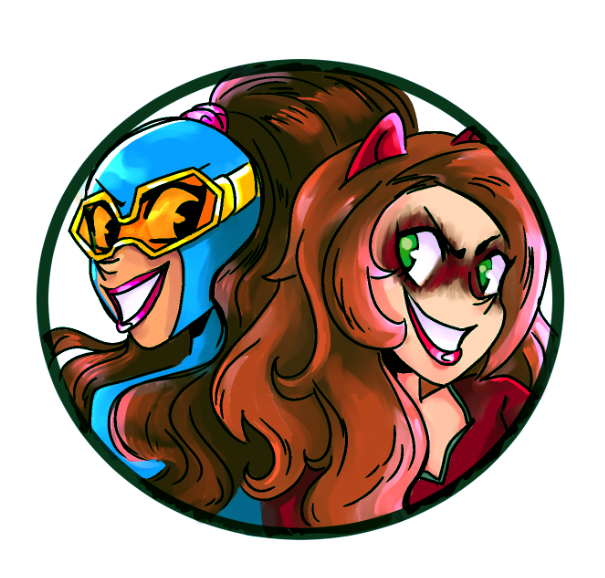 And when something happens in comics that I like, I should mention that too! For example, as the headline suggests, Kaine is back! 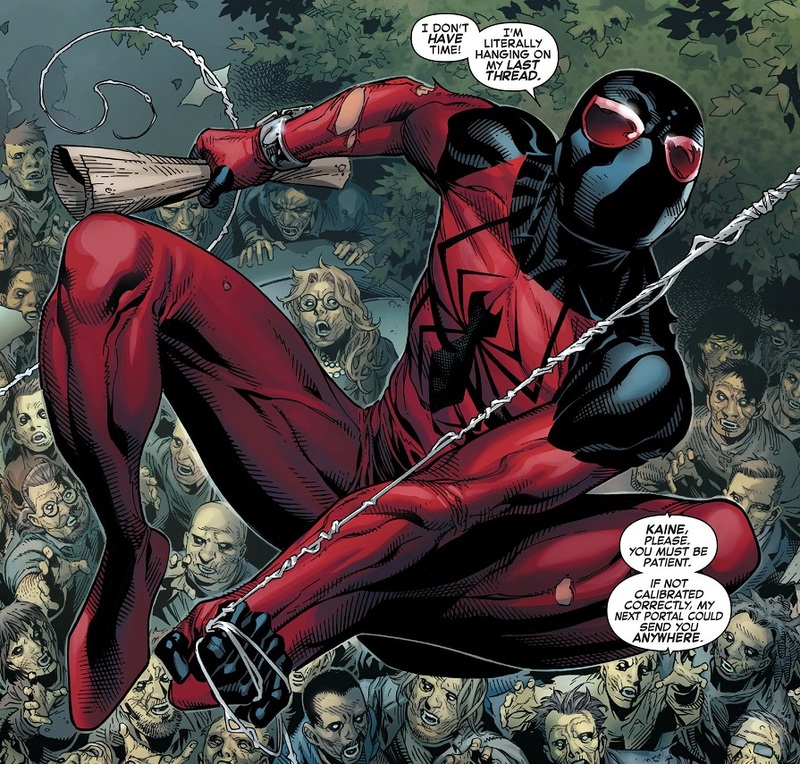 I used to do full length reviews of the Scarlet Spider series back in the day because I’m a huge fan of the character. Then he was killed in Spider-Verse and that was sad. Well time heals all comic book wounds, and Kaine returned in the second issue of Clone Conspiracy this week! This is just fun news. I’m not going to spoil too much of Clone Conspiracy for anybody. Just gonna say that Kaine seems to be doing something heroic, and that’s pretty cool. I hope writer Dan Slott has some fun plans for him. To explain why I care, the original Clone Saga in the 1990s was my first real entry into comics. I started out reading the leftovers from when my dad collected in the 60s and 70s, but the 90s was when my brother and I really dove in for ourselves, and Spider-Man was our entry point. We loved the Clone Saga, and especially loved Ben Reilly, the original Scarlet Spider. Kaine was cool too. Flash forward to now, and while Ben died a long time ago, Kaine continues to be an ever-evolving character who is actually a pretty cool guy. He’s this jerk clone of Peter Parker who still has spider-powers and is trying to sort of do some good with his life. He’s like Spider-Man’s jackass cousin, and is definitely the best lasting effect from the original Clone Saga. So yeah, Kaine is back in Spider-Man comics. I like that. Posted on November 10, 2016, in Comics, Marvel, Spider-Man and tagged Kaine, Scarlet Spider. Bookmark the permalink. 2 Comments. That single panel is so amazing. “I don’t care.” Oh Kaine, you are such a BAMF!